Incoming! 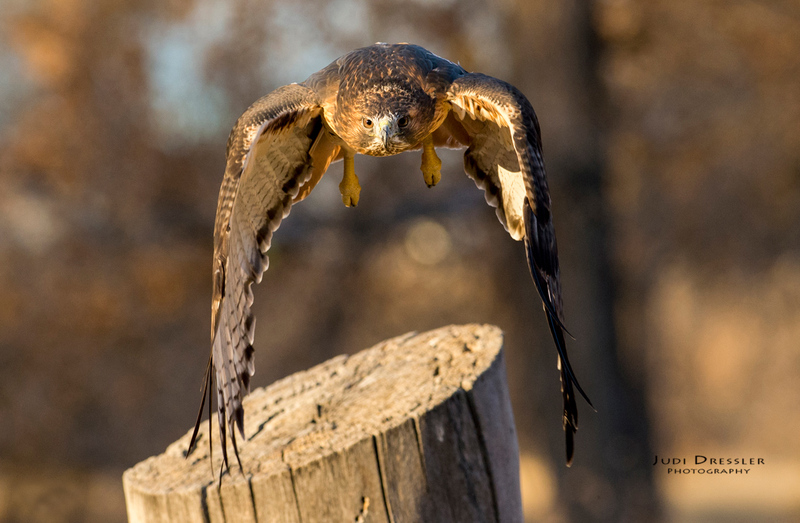 This photograph of a powerful Red-tailed Hawk was taken during a workshop demonstration with captive birds that are normally used for educational outreach. This is one of my favorite shots of of this hawk, captured as she flew directly towards me! Red-tailed Hawks soar above open fields, flying in circles while hunting, or they often sit at the top of electric poles high up where they can survey the territory and look for rabbits, voles, snakes, mice, etc. We see many of them in Colorado, and they remain here year ’round. Photo taken in October of 2016, in Aurora, Colorado.